November 1994: the credits for Knightmare rolled for the last time. Naturally, like everyone else who watched Knightmare, I hoped for a new series which obviously never came to fruition. With the release of Virtually Impossible in late 1994 and its introduction of Virtual Reality, I was left wondering for many years what Knightmare would've been like if Knightmare continued onward evolving with the technology like it had been for years prior to its demise. September 2014: I purchased an Oculus Rift DK2 and was blown away at the sheer level of immersion that it provided. As time went on and I tried many programs and demos. I noticed that many of them were made on the Unity3D platform. Having been very apprehensive of having anything to do with programming, I decided to try my hand at it. Within minutes, I had made some very basic environments that I could walk around in a true to life scale. I do some research with basic scripting and had the means to trigger animations and sounds. 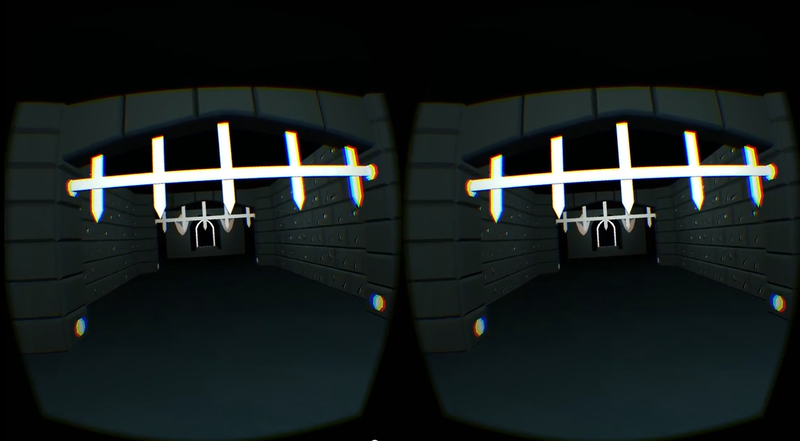 June 2015: with the rediscovery of the Knightmare VR music, my interest in Knightmare was rekindled. 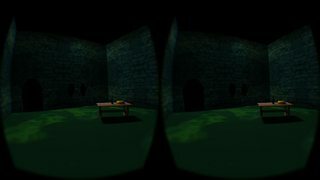 I pondered on the possibilty of recreating areas of Knightmare in VR. I initially decided to focus my attention on Series 7, as Series 7 contained many advances in the computer technology with some of the rooms being completely CGI. 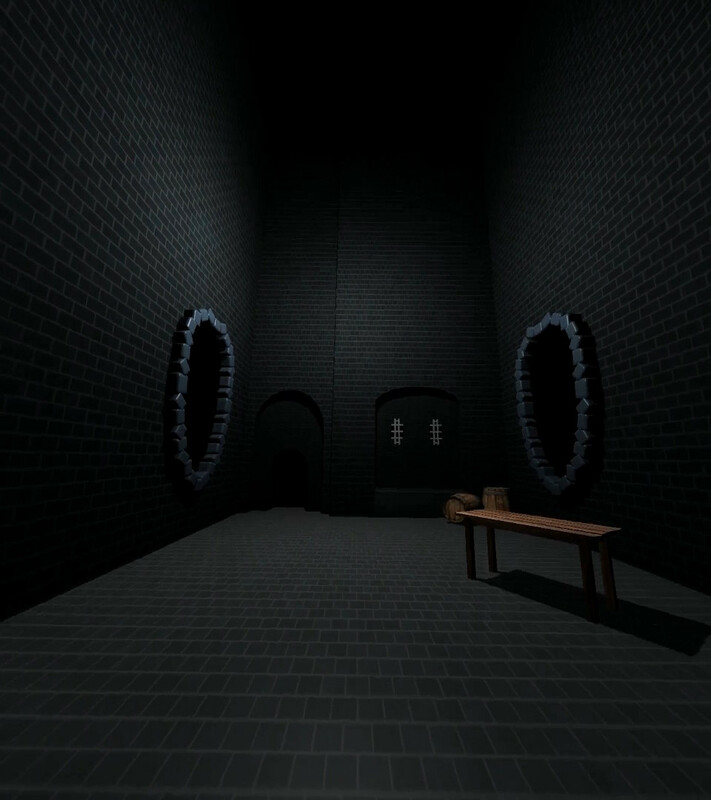 I decided to start with the Sewers of Goth as from a texture/architecture POV, it looked pretty basic. 2) Where possible, try and find master sound recordings that were used and utilise them to provide an instant sense of familiarity to immerse the user in the soundscapes that they grew up with and maybe got scared of! Ultimately, my dream for this if I get far enough is to do to Knightmare what Creative Assembly did with the Alien Franchise in Alien Isolation in terms of using its source material to immerse the player in its universe. Creating a unified scale between what was seen on screen and then translating that scale into fully fledged 3D one was one of the first things I needed to take into account when beginning to recreate the rooms. Unity 3D's scaling system is 1 unit = 1 metre. For the sake of simplicity, we run the general assumption that the dungeoneer is 2 metres high. With that in mind, I then look at the nearest point of reference to the dungeoneer which is fixed into the original rooms graphics (tables/clue objects are not taken into account as they're not part of the room graphics). Once I have a point of reference, I then essentially make a copy of the dungeoneer and stack them one on top of the other to get a basic sense of how tall/wide a room/fixed object is. One of the first major hurdles I knew I had going beyond the Sewers of Goth was how unseen parts of the room needed to be represented. Naturally, a quick way around is to simply copy and paste another one of the walls. However this creates another problem. In Series 8, red dragon Bhal-Shebar would appear if the dungeoneer would take too long in certain rooms in Level 1. As the back wall of the room would never get seen, how would the dragon move from room to room? One way to possibly get around this, is to place a hole in the side wall where he'll pop his head through with the general idea that the Dragon moves around the dungeon behind the walls of the room. An issue that would come up occasionally in the original programme is how the dungeoneer would be scaled against the room backdrop. Near the end of Julie's quest in Series 7, she appeared unnaturally large in the blue room prior to the quest chamber. The quest chamber is basically the blue room but mirrored and with a palette change. In this room, she seemed smaller when she was right up again the darkness of the door. For the sake of keeping the scale unified, I run on the general assumption that the door is around 2.5 metres high in order to keep the scale consistent. Like the scaling issues with the dungeoneer, there was one case where the size of the snapdragons seemed to wildly fluctuate between quests. 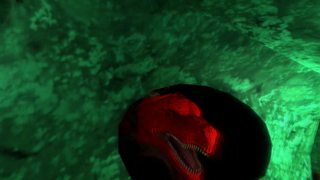 Recreating the snapdragon tunnels was quite a challenge due to several alterations that needed to be made for it to stand up to the scrutiny of being seen in a real time first person viewpoint. The main alteration being the holes that needed to be made in the side walls. Going back to the scaling issues with the snapdragons, this creates another dilemma. Initially, I scaled the holes to be more in line with the size of the large snapdragon seen at the beginning of Daniel's quest in Series 8. However, this resulted in the smaller snapdragons looking extremely out of place coming out of such large holes. I decided to cut the smaller snapdragons as it seemed somewhat unusual to see small snapdragons coming out of such large holes which were intended for the originally recreated larger snapdragons. Watch the video here. One of the most important parts of the project which I set down from the beginning was to recreate the original art style as best as I could. Granted, I could use ultra HD next gen textures but that would mean straying away from what we all grew up with which in turn reduces the sense of familiarity. Right from the off, I wanted the player to feel like they were walking through the original assets as they existed in 1993/1994 so going for reasonably Lo-Fi graphics was something I set down as being a requirement. 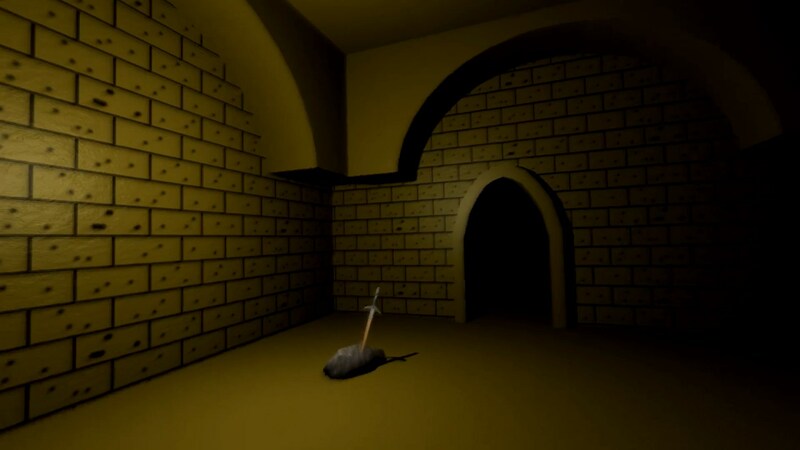 This meant studying the CGI rooms and understanding how they were textured/lit (if they were textured at all) and translating these from a pre-rendered environment to a real-time rendered engine. I started with the Sewers of Goth as it was obvious to me at the time that there was very little in ways of actual texture mapping (save for the patterns on the bricks). 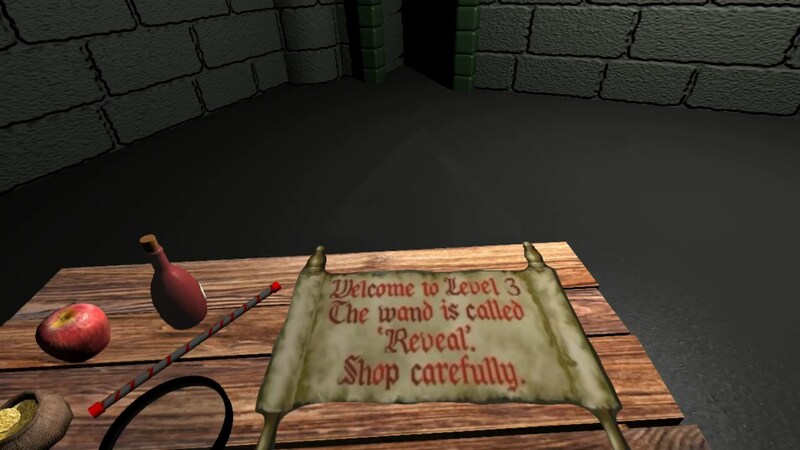 As I studied the Level 3 Clue Room from Series 7 and the Play your Cards Right rooms from Series 7, it was again obvious that there was very little in ways of actual texturing which no doubt was probably due to technological limitations at the time. These rooms appeared to literally be Normal maps with just the object providing a basic colour. Moving onto the Corridors of Linghorm Palace, it's pretty obvious that a lot of time was put into making this look as vibrant and graphically advanced as possible. An immediate priority I had at the time when recreating this one was to nail the vibrant colour scheme. This meant taking screenshots, using the dropper tool in a paint program to get the basic RGB values of the walls/objects and then inputting the numbers into Unity in order to get the colours in places. 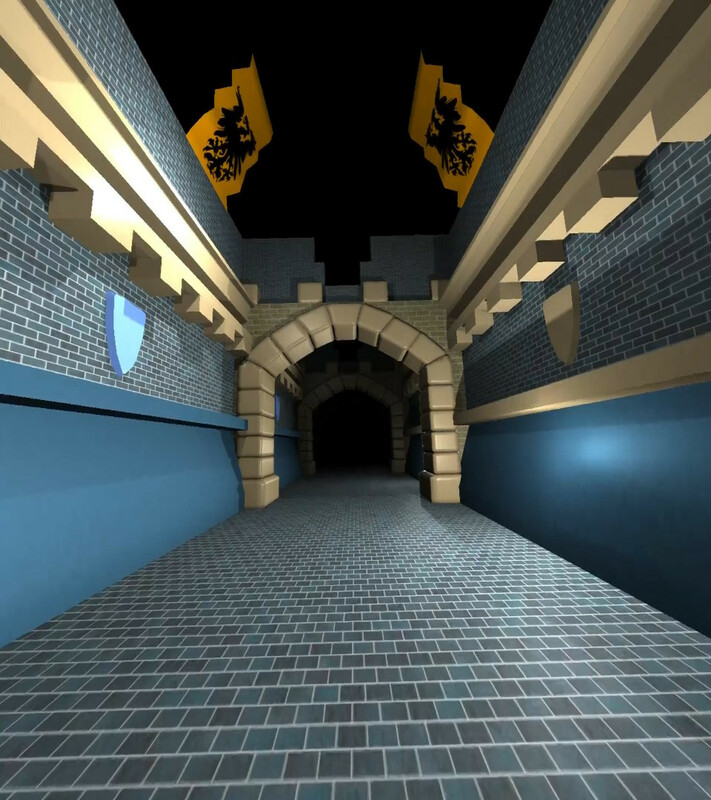 Moving on from the requirement I set down with recreating the '93-94 CGI look to the rooms, one of the other things that I set down as being essential was to recreate the original sound design of Knightmare. Finding the original sound cues provides a very strong sense of familiarity that further enhances the feeling of walking amongst the original assets. This meant spending many hours sifting through online sound effects libraries in order to find a sound which could be potentially be amongst thousands! Given the age of some of these sounds, this is far from an easy task. In some cases, recording sounds from Knightmare and then cleaning them and stitching them together suffices when I just cannot find the originals. Part II of this article will tell you more about the rooms and obstacles that James has recreated, and the background to them. Links to all the videos and images so far can be found in James's forum thread, where you can also leave feedback if you like what you see (and hear! ).